If anybody has something cool, please share with the community! I offer the variant of a conclusion of pictures with the description. In HTML a code it is specified, how we deduce a picture. Thanks MACTEP for this precision. 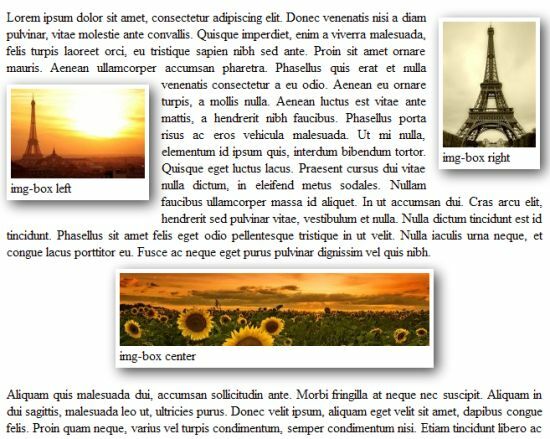 I didn't show how to integrate the pictures in the page cause i was focus on the effect, and i didn't want add a < div > code in it. I wanted a very simple integration, whithout code. But I like your page, very very pro design ! You share your code for the community. Thanks. In addition to the previous post , we add the effect of pushing the image. For a real effect, u should move (very little move) the picture, not just reduce the shade. or may be there is but the animation too small to see it. MACTOP, you are a killer ! Please, how do you do to center the label of the picture in the white box ? how do you get the progressive Zoom ? Thanks FreddyH for this real demo in your nice and in production web site. MACTOP, you are a killer ! Please, how do you do to center the label of the picture in the white box ? 1. Do you know another way? This method is incorrect as DIV occupies the whole width and a description can get out of the picture. Supported by all browsers (Internet Explorer checked in versions 6-9). Nice design :) It would be good for articles. I think it would be just perfect for any articles.